Please note that the original customer comments email has been retained to comply with advertising standards. What a smooth efficient service you provide. Cash 4 Coins dealt with my large coin collection expeditiously, from the free collection, through to prompt payment after receipt. I would heartily recommend them to all who want a trouble-free service and a very fair deal. "We have received excellent service from C4C, from registering for the service, to free collection and a good value given for foreign and old coins, which has raised valuable funds for our charity. 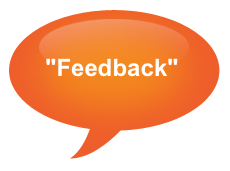 Thank you C4C, we would definitely recommend your service and will use this service again." Once again 'cash 4 coins' has come up Trumps ! I have been using their exchange system over the past 2 or 3 years on behalf of Rotary Charities. Apart from World Currencies, I particularly like the fact that they convert small Euro Cent Coins i.e. Face Value 1, 2, 5, 10, 20 or 50 Cents, whereas others will only accept whole Euro Coins (Face Value 1 or 2 Euros). CASH4COINS OFFERS A WONDERFUL SERVICE FROM START TO FINISH. HELPFUL STAFF. WE WERE KEPT INFORMED THROUGHOUT THE WHOLE PROCESS. ADVISED OF THE TOTAL QUICKLY AND IN DETAIL. VERY IMPRESSIVE. WE HIGHLY RECOMMEND CASH4COINS. We have been delighted with the service Cash4Coin has given us. Cash4Coin provided us with all the information we needed to make this a very successful and easy fundraiser for our small charity. The feedback on the coins/notes we collected was useful and the amount we received was above what we expected. I have been very impressed with your level of service. Reinforced box, because of the weight of coins, provided to me and then uplifted. A professional, courteous and efficient service. Here at Oakwood Dog Rescue we were really happy with the service we received from cash 4 coins. It was very quick and with free collection over a certain weight it was all very easy to sort, and as a charity where we often struggle for time this is very important to us. A completely hassle free, simple way to raise money to care for our dogs that we would highly recommend! This is an excellent service: clear instructions for packing and posting the currency; prompt acknowledgement of receipt; and a detailed explanation given of the outcome. I am thrilled to have raised over £50 for my chosen charity by donating those old coins and notes. Many thanks again for all your help. This is the second time we have used your services, and as last time, are delighted. Easy to deal with; easy to send the package (free if it is heavy enough!) and very fair with how much they gave us. The donor of the obsolete coins is thrilled that her 'widow's mite' has helped her church. Thank you for dealing with about 15 years’ worth of foreign coins in our church collection boxes – it is amazing what people put in them! But apart from € and US$, the critters pile up and give the Treasurer a disposal problem. I was so pleased to come across your company and to have been able to not only get rid of it all, but actually turn it into real money in the bank. Your system was simple, straightforward, quick and efficient, with a phone call answering all my questions and providing easy-to-follow instructions. From my first contact everything was dealt with extremely efficiently and with great politeness. I highly recommend this service. This is an excellent and extremely customer focussed company. Well done! Delighted with the service I have received from cash4coins. Speedy service, free postage, very fair exchange rates, helpful staff. Would definitely recommend to others. I can highly recommend the service provided by cash4coins. Everything at each step of the way was very clearly explained. I was particularly thrilled with the detailed summary of what would happen to all the coins and bank notes I’d sent in and the prompt payment. A very transparent process and helpful people to deal with. Thank you. I could not be happier with the service received from coins4cash. From my initial email, to receiving funds in my bank has been less than 10 days. At every stage I have been kept informed with what is going on and I am delighted with the payment I have received for coins which were surplus to my requirements. Many thanks to all involved. I do not hesitate to recommend your services to anyone in the same position. I just wanted to say how delighted I was to receive your email with the cash valuation of the coins I sent. Your service is excellent and I was impressed with how quickly you responded to my initial request. The instructions to box up and get the coins ready for collection was great and the coins were collected within a couple of days. I have no hesitation in using Cash 4 Coins again and will definitely recommend your service. Thank you! I have used your service for several years. I am always very pleased with your service and I am sure they will be when they have received the report. It is easy to use and gives a good return. On behalf of St Richard's Hospice Warehouse, Worcestershire. I have dealt with ' Cash 4 coins ' for several years and on every occasion have found their service to be of an excellent standard and have no hesitation in recommending all aspects of dealings to prospective future clients. On two occasions I have used cash for coins and I have appreciated the home collection facility together with an itemised result of the coin's values. We are delighted with the professional service you have provided. It's a really simple system; pack up your currency and drop off at nearest myHermes. I really like the payment summary as it gives a clear and concise breakdown of the currency sent. The payment was received promptly. We will definitely be using your services in the future. Thank you. I would like to thank you for your help with queries and information. Cash for coins is a very good company to use if anyone has any old foreign coins or bank notes that can be exchanged for English currency and i would recommend to use them. Very quick to process the currency that is sent and same day payment from them once they have dealt with your old currency. Very recommended. Thank you Cash for Coins. I didn't know what to do with my old coins. Neither the bank nor the post office would take them. So I was delighted to find that Cash 4 Coins would take them and donate the proceeds to the charity of my choice. A very simple and efficient service - thank you. I was very pleased with the cash 4 coins service. It was quick and easy and hassle free. I particularly like the fact that you offer free collection for packages over a certain weight. I would recommend this service. I have no criticism at all of the way in which Cash4Coins dealt with the currency I sent. Instructions on the website were very clear. We simply dropped the package off at a My Hermes agent in the next village and after that all went very smoothly. I was very happy with the rate offered on the currency I sent and impressed by all the detailed analysis given. Thank you for the currency you have processed for me. I was very pleased and surprised by the amount of money I got back for some very old coins that had accumulated in a cupboard. The service from free collection to payment was excellent , and also the knowledge of foreign currency. On behalf of The Martlets Hospice in Hove, Sussex, may I thank you for an excellent service with our shipment of coins to you. 330 Euros plus some misc. banknotes returned a magnificent sum of £263.00 for the hospice. This was our first shipment to you and I can assure you it won’t be our last. The next one is already being packed and will be on it’s way very soon. Thanks Cash4Coins, a quick and efficient service yet again. Our charity receive a lot of unwanted foreign coins and notes, and this is always a simple, hassle free way of converting this. Thank you for your efficient, friendly and helpful service. As a charity we received lots of foreign coins and notes, and to have them collected for free has made exchanging them so easy for us. Your service was quick, easy and hassle free! Thank you. A simple way for parents to contribute to school and every little really does help. Local collection point was a real bonus and made the transaction possible. Very comprehensive report back, thank you. cash4coins offer and provide a very quick and easy way to exchange both British and Foreign coins and notes. I was very pleased with the detailed breakdown list of my currency and the money quoted was in my account within 24 hours as stated. I used the free collection service as had a lot of coins which were collected on a convenient day of my choice. Excellent communication and service. I’m very happy to recommend and will use c4c in the future. I have been really pleased with the end to end service offered by Cash4Coins. From the first point I contacted them when we were doing our company collection the service has been so smooth. From sending our donation, through to the information provided once everything was counted. I am able to share with my colleagues how our collection was made up, really useful info! I would definitely recommend. I was very pleased with the cash 4 coins service. It was quick and easy and hassle free and allowed our charity to dispose of our unwanted change. I highly recommend the service! Thanks so much. Very pleased with the service from Cash4Coins. I wasn't sure what to do with some old coins and notes as they were low value. Cash4Coins were able to sort the coins and give the money to charity. Very pleased with the service and professionalism. Thank you for the information giving detail of content, values and the issues with realising returns. Thank you very much for payment received for my currency. I was pleased to find your website and to be able to sell my old unwanted coins and notes so easily..I like the fact you offer free collection for packages over a certain weight.. Thank you so much for dealing with my coins so quickly, the whole process was very easy and also communication was great throughout, the amount I was given was the same as that quoted - I am pretty amazed really,you did exactly what you said on the tin... thank you so much for a great service! Thank you for your very efficient service with very clear instructions and free collection service. As a registered charity, £207.62 is a very useful boost to our funds which will be added to our Bursary Fund to help families on low incomes to access our counselling services. I was delighted to discover a company offering such a fast and convenient service, and they did not disappoint. I would recommend Cash4Coins without hesitation - free collection makes the entire experience hassle-free, the service is quick, and offers a more-than-fair exchange rate. I will definitely be using C4C again! I was very pleased with the cash 4 coins service and the price offered for my coins. It was quick and easy and hassle free. I also like the fact that you organized collection free of charge and also supplied the packaging for my coins. Many thanks. Thank you for transforming our box of unwanted foreign coins and notes we have collected from businesses and supporters over the past few months. We loved the free courier services and to receive £46.87 towards our charity. #TheSourceForYou Have started collecting again and will be in touch. I was very pleased with the cash 4 coins service. It was quick and easy and hassle free. I particularly like the fact that you offer free collection for packages over a certain weight. This is an excellent service and I received more cash than I expected in return for the coins I sent. Payment into my bank account was swift. The email with detailed breakdown of the worth of different coins and notes was an unexpected surprise, as were the photographs of the currency. I recommend Cash4Coins. Cash4coins has been amazing. At first I wasn't to sure about them but the fact that there is a land line phone number re-insured me. This company is really reliable they did a fantastic job. It was very easy. I was informed all the way through the process. I received a good value for my foreign coins and notes. and everything was detailed. I was so happy to receive the check in the post and it came so quickly. The thing that I really liked is the system of the drop of points. Cash for coins sends you a label you stick it on the package they tell you where the nearest drop off point is. Drop it there DONE. They were efficient fast reliable and truly problem free. I am very satisfied and would recommend CASH4COINS to anyone who needs to turn foreign money into £££££. I had a very positive experience with Cash4Coins. As a company we generate a lot of different foreign currencies, so the service is very easy and efficient for us to use. I would highly recommend it to friends, family and other businesses. C4C is a most efficient and courteous company to deal with. So many companies in UK could learn a lot from the way they conduct their business. So impressed. Even sent me a scan of the coins and notes that they could not exchange for cash. Cash4Coins were efficient and friendly and did everything in the timescale that they said they would. In addition we were able to turn the foreign currency that had accumulated over the years in valuable cash. Following our previous coin collection provider no longer being available Cash4Coins was selected and we have used them for one collection to date. Our initial experience has been very positive and we look forward to a long term working arrangement developing. I’ve been very impressed with your service and the return from the coins we collected for our charity event. I would definitely use you again and will recommend you to others without hesitation. Many thanks! I cannot recommend Cash 4 Coins, it is a totally stress free fund raiser for our Infant School and nobody minds donating coins to as the foreign ones are of no use to them anyway. It is a fast and efficient service with the coins collected from your door and an offer made on the currency within a couple of weeks. We have already raised well over £500 for our school with just 3 buckets of coins! Thank you Cash 4 Coins. I would like to confirm that Cash for Coins is an honest and straightforward organisation which communicates very clearly every step of the way right until the transaction is completed satisfactorily to all parties. I was very impressed by their warmth and professionalism at all times and felt valued as a customer which is rare these days. This was the first time I have used C4C but I wouldn't hesitate to use them again and will recommend them to friends. The service was easy to use, quick and efficient. I have been delighted with the service I have received from you which all ran very smoothly from the time I delivered the package to receiving the money in my account. We have only started to use Cash4Coins but already the service has been fantastic, speedy and efficient. We have raised over a £1,000 from our first month of collections and we would recommend to other charities. Thank you very much for providing such an excellent service. I was surprised to find that the coins could be dropped locally for courier delivery to your offices, and I was even more surprised and delighted to find that the collection point was just down the road. A first class service all round. I will definitely recommend you to anyone I know who is looking to exchange coinage. Many thanks, the whole experience couldn't have been an easier service, great communication and a no hassle way to shift any size of stockpile of unwanted currency! Many thanks for your prompt, efficient and reliable service. I had been storing a bag of brown Euro coins at home for years not knowing what to do with them and it was fantastic to be able to get something back for them. I would highly recommend your service to others. Once again I have been impressed with the overall service provided by Cash 4 Coins.You always keep the customer informed as to the expected length of time you require for converting the currency and give detailed information as to the value. Final transactions are always completed within your alloted timeframe and have no hesitation in recommending Cash 4 Coins to any new customer. Thank you very much for a 100% trouble free way of getting cash back on old travel money. I had loads of old Spanish coins & Maltese money, and thought it was a waste to just out them. Communication was excellent & payment to my pay-pal account was fast. Thanks again, & I have already recommended you to friends. Ps, I cannot think of a bad point so far. 100% satisfied & happy. I highly recommend cash4coins services! I had a whole bunch of coins that I had collected over the years from my travels and they were just sitting in the cupboard collecting dust. I researched all the options out there, made a few phone calls and cash4coins was the best I could find. They always kept in touch and told me exactly was happening. Thank you cash4coins for such a smooth transaction! I thought the service Cash4coins give is first class. It is very easy and everyone from the people who answered the phone to the driver that picked up the coins was extremley pleasant and professional. I wouldn't hesitate to recommend them. Thank you very much for an easy transaction. I had a lot of old and foreign coins that I had no idea what to do with and was pleased when I came across your site. There was lots of information about the types of coins and notes that could be accepted and all my email queries were responded to quickly and fully. The whole process was very easy and I would happily recommend you to anyone. Thanks again !!! Cash4coins have been totally fantastic in helping us raise over £100.00 for our church. They have very efficient, courteous and prompt in all dealings. This is the first we have collected foreign coins for fundraising and are really amazed to raise so much. We'd thoroughly recommend Cash4coins to anyone. An extremely professional company to deal with. Cash4Coins were simply, easy and efficient to use, giving you clear instructions, options and support. Highly recommend them as the best way to change your coins without any hassle. This was the first time I had used Cash4Coins and they really made the process quick and easy. From me supplying the foreign currency, I had a cheque in my hand for our charity within 4 weeks. The Admin Support line was good and C4C kept kept me advised vi email throughout the process. I would definitely use them again and recommend to others. Cash4Coins is very easy to deal with. Efficient and easy, it was a pleasure working with them. This is the second time I have used Cash4Coins and I'm still very impressed by how quickly they processed my coins, the accuracy of processing and the speed at which they deposited money into my bank account. I won't use any other service - very satisfied customer here! Thanks guys. Thank you very much indeed for your prompt service which is much appreciated. I will certainly recommend Cash4Coins to my friends and would have no hesitation in using your services again. I have just checked my account (45 minutes after your email) and the cash is already there. I am struggling to think of any other company I have dealt with in the last few years, whether online or not, that has been more efficient. Your service from start to finish has been exemplary. It has been a pleasure to deal with your company and I will readily recommend it to anyone that needs a currency conversion service. Well done! I would just like to say how delighted I have been by the service provided by your company. In particular Andrew went the extra mile to collect my box of coins from me personally in Leeds. Your website is easy to use and your documentation is simple to complete. Thank you very much. We are delighted at the service and friendliness of all at Cash4coins. The service has been efficient prompt and helpful - thank you for helping the Church in the way you have. Easy website, you get prompt reply with labels , form , packing info and details of where to drop package off. This was tracked so i could see it had been recieved. I also got an e mail to say coins had arrived, all very efficient. the only downside was from you receiving coins it took 2 weeks to count my coins, i know you must be busy but would have liked a faster turnaround. however was e mailed on the day promised with offer and once accepted money in a few hours in my bank. Very happy with all communication and would use again and recommend to friends. Thank you Cash for Coins. Your service has once again been easy to use, clear in the way it operates with the customers and is of tremendous use for Charities to make extra funds from unwanted foreign currency. As a local charity, we are always on the lookout for innovative ways to generate income. Cash4Coins gave us an easy way to make the most of all those old coins that everyone has lying around in pots. Our first collection raised over £100 to help older people in our area. We are delighted with the efficiency and professionalism of Cash4Coins and are happy to promote their service in all our shops and offices. Cash4coins I would like to highly recommend to others! Very clear online as to how they work! Simply box up your old coins/notes send them to them and sit and wait for your offer! I am over the moon with my offer what's not to love about sending your coins for cash they were useless in the cupboards gathering dust! Give it a try I did! Well worth your wait! Many thanks for the cheque and I will pass your information to Age UK Sevenoaks. I was very impressed with your friendly and efficient service. Best Wishes. Thank you so much for the payment. I would certainly recommend your service to anyone interested. The convenience of dropping off my currency at a local shop was very convenient.What impressed me most was the courtesy and efficiency of the various members of your staff I dealt with,as these days, unfortunately ,good customer service seems to be a relic from the past. A very happy and satisfied customer. Cash 4 Coins provided me with a rapid, efficient, friendly and informative service. I have for many years put my foreign currency in my drawer and struggled to know what to do with it. After accepting a fair value for the currency, the money was in my account within 3 hours. Thanks to Cash 4 Coins my top drawer is much tidier! Thank you for the prompt receipt of the cheque. I am delighted, as always, with the speedy, friendly service from the team at Cash4Coins. All the money I raise goes to Guide Dogs for the Blind and I have recommended your service to other local Branches of Guide Dogs. Thanks again. In our fund-raising efforts we came across Cash 4 Coins We found it an easy way for our members to help us towards our target. The company were efficient and we would recommend this approach to anyone else looking to raise funds. Many thanks for the cheque of one hundred and one pounds. I received on Friday. The Cyprus notes had been in a purse for years, I will recommend your company as first class, very helpful in every way, no waiting on the phone. So another satisfied customer! Many thanks. I am very pleased with your service. The staff have been helpful when I've called, the exchange rate of 75% is reasonable considering it's coins, the email I received was thorough and detailed and the payment was speedy. I received in excess of £300 for coins I thought were largely useless. would definitely use you again, in fact I plan to do another charity collection sometime soon. Thanks! This is the second time I have set up a charity to use you and again you have not disappointed. Great service and communication so thank you. Kidney Cancer UK (who I am currently working with) are now looking to roll this out making it even more of a success. We are still collecting so hopefully we will have another large amount to send your way by the end of the year.Thanks again. I am busy mum with two young children, so am always on the look out for ways to make extra cash! I heard about cash4coins so I rooted through all my drawers and travel bags for unspent foreign coins from holidays gone by. Then I asked my parents and parents-in-law to look for any foreign or old coins that they had lurking around in the backs of drawers. In the end, I sent @ 1kg of coins to cash4coins and the converted value in pounds sterling is now sitting in my bank account just one week later....just brilliant! Cash 4 Coins have been beyond helpful with exchanging my old, foreign currency. They made the process so easy and I felt safe sending my money off to them and I was well informed at all times. I would recommend cash4coins as they manage your expectations and do as they say. I received my bank transfer just a few hours from accepting their offer. A fantastically easy and efficient way to turn unused foreign bank notes into money for our charity, and the staff on the phone were really friendly and helpful. We will definitely be using your services again. Everyone I spoke to told me there was no way to convert euro coins to sterling in the UK. So what a surprise when a quick search found you on the internet! That surprise turned into admiration at your easy to follow instructions and outstandingly efficient service. And what is more, the experience was actually fun! The sense of anticipation builds as you send off your coins and wait to hear back on how much cash you will get back. I'll certainly be using you again. This is the first time I have used Cash4Coins after finding them through Google. I have to say the service was brilliant, the pop up chat on the site was very helpful, followed by quick turnaround from the point of receiving coins, to the offer, to the bank transfer. I would definitely use again. I'm very happy with the service I received at Cash4Coins. The staff member on the phone was polite and efficient. After sending off my currency I received an email confirming how much I would get and when. The money was paid direct into my bank account no problem. Brilliant service! Would definitely use them again. I used Cash 4 coins for the first time and have been really impressed by the Company. Quick, easy and highly efficient, they make turning unwanted coins into cash as easy as 123. I was kept informed at every step of the process with there great tracking procedures and felt really comfortable sending my currency to them. Quick, easy and hassle free, so what are you waiting for, use them now! I sent in euro coins and old coins before the euro existed. Cash4Coins operated like clockwork, emailing me that they had received the coins and again emailed me to give me to give me their exchange price. The money was transferred within an hour. I am delighted with how easy it was to send coins to Cash 4 Coins, plus I'm impressed with the simplicity of the transaction to receive the credit. I would definitely recommend this website! Cash 4 Coins have been a great fundraiser for our School. I had never used it before but the team were exceptionally helpful when I contacted them, and throughout the whole process. I would recommend them to everyone to use, and it is also a great way of recycling. So thank you for your service cash 4 coins. I have been utterly impressed with the Cash 4 Coins service. From the initial contact with them right through to receiving the funds I could not fault anything. The labels they send, their courier system, the concise emails and the easy to follow instructions make them a pleasure to deal with. I would not hesitate in using them again in the future. Delighted with the service provided by Cash4Coins, which I have now used twice. The courier pick up was from a local shop, which was easy and straight forward. Have already recommended this company to friends. If I was to imagine the best service I could want from changing odd coins to cash, you are it. You exceeded my expectations, which makes a refreshing change! I would recommend you to anyone. Thank you. The service I received from cash4coins , was excellent, kind ,polite , answered questions with patience I would recommend them to any of my friends who have coins to change , my best wishes to this company for their future. May I just take the time to thank you so very much for the cheque which arrived today and for the way you have dealt with the transaction. We are very pleased with the service you provide and no doubt we will be using you again. As a new customer I have been impressed with the service given. From start to finish you give easy to understand instructions coupled with an honest assessment and valuation of the coins and banknotes received. To start with, I like most people did have some reservations, but these have been unfounded and would not hesitate in recommending 'Cash 4 Coins' to any individual or organisation wanting to get a fair deal and advice in the trading of old coins/currency. Thank you for taking my currency , it was a bag of money I've had lying round for a good few years, not knowing what to do with it ! It was good to find a helpful group of people to sort it out for me and give me a little windfall. Thank you again. Thanks very much for the fast processing of the coins I submitted. Very easy process and very well organised. I was initially hesitant to send off my money but any fears have been reassured by your excellent service and communication. Thank you! I had a load of old Cyprus Currency, Which C4C gave me a rough idea of what they would convert them for. They also told me the price I would get if I went into a Cyprus bank. They were very honest and easy to talk too.I sent my currency off to them and they did exactly what they said they would do in the time they told me it would take.Excellent, professional and honest people. These are not like the DVD swap for cash people, which I personally have had problems with. This company does what it says. Extremely happy with service provided via cash 4 coins, professional, friendly and everything was sorted within a timely manner… once i have another load of coins will definitely use again! We were absolutely delighted with the amount of money we got back from Cash 4 Coins. We have had a money globe lying around for months and to be honest we didn’t think we could do anything with the money as some of it was so old. Then we came across Cash 4 Coins who even collected our globe and then sorted what looked like to us some very old and foreign money that was probably worthless, How wrong we were. We are thrilled to have a very prompt payment of just under £600. Thank you so much, we will definitely be using you again and will let all of our other Cash for Kids Offices know about this. Cash4coins were extremely efficient when I needed to exchange lots of different coin denominations. I really wasn't sure where to go to for help & was only looking at their website when a chat appeared asking if they could help. They told me everything I needed to know & what to do. After weeks of searching for help it was all sorting in 24 hours & monies exchange within 2 weeks. Excellent service & will use them again. Cash for coins is a great service, easy to use and understand. Payment is made quickly and the communication is first class. We have used your services before and would not hesitate to use you again. I thought i must write to comment on the marvellous service i received. Many dot.com companies promise good service and few deliver, but cash4coins certainly delivered excellent service. Cash4Coins is probably the best service company I have ever dealt with - always a swift response (human, not automated) with a very professional, friendly and helpful service - I can't fault them in any way and would definitely use them again, thoroughly recommended. One is always cautious about using a web site that is unknown to you, however C4C provided an excellent fast service and the money we received well exceeded our expectations. I would not hesitate to use them again. Thank you. I have been very impressed with your service. You were recommended on Money Saving Expert and I thought I would give you a whirl. What a great company!!! Fast, courteous, and I was very pleased with the money I received for coins just laying around my house. I plan to spread the word with all my friends and raise some cash for a charity too. Thank you for this very efficient response in payment for the coins, current international and what I call "shrapnel" I have used your facilities several times now and wouldn't dream of going elsewhere. I have also recommended your organization to others. Initially I was very apprehensive about using a service like this because it was very new to me, Cash4Coins made the process very quick and easy. I was given fantastic professional support throughout my dealings with them, from the first telephone consultation to the follow-up emails once the coins had been counted. I would recommend the company unreservedly, I think the main reason people have euro coins sitting at home is that they are not aware of these types of services. Cash4coins is the simplest and easiest way to take your jar of random coins and actually do something useful with it. Donate it to charity, take the cheque or transfer the money straight into your account, the process is straight forward, secure and fast. I would highly recommend this service to anyone else. Just a quick email to say thanks so much for the cheque you sent recently. Everything was fast, friendly and efficient - I have already recommended you and will be using you again in the future! Cash 4 Coins continues to be a very efficient way of raising funds from leftover foreign coins and spare pennies. We have used them several times now, and I am impressed by their efficiency of operation. Being able to send shipments >5kg of coins free of charge is real bonus for us. Cash4Coins was very pleasant and efficient to work with. We were able to raise money for our school with very little effort on our part. Parents were able to donate without feeling like it was a cost to them. Thank you. What a great service – have just received payment via PayPal! I travel a lot with work and had accumulated piles of foreign coins which had been sat in a jar gathering dust. Great customer service & not needing to sort the coins out before sending was a bonus – I’ll definitely be recommending you to my colleagues. Just the service I was looking for to dispose of old coins put aside by my late father who thought they might be valuable one day. Collection was arranged free from my local corner shop, and a fair offer made quickly. Payment was made promptly and the whole service was friendly, clear, and efficient. This is the first time I have used cash4coins and it is a superb idea providing an excellent service. The exchange rate is very competitive given the market for such services, and communication was excellent. Many thanks. This was my first time using Cash 4 Coins - it was simply because while having a tidy up over Christmas I found some old foreign notes and coins which had been lying around in a bag for years. I wondered if there was anything useful I could do with them, looked online and found Cash 4 Coins. Everything was very simple, straight forward and I received all of my notifications on time as promised which was very good. In less than 10 days it was all complete and my money was in the bank. These days every penny counts and with the money I shall be buying some cat and dog food to take to my local shelter - we got our first kitten at the shelter many years ago and ever since we help out when we can with food donations - I like the fact that it goes directly and immediately to the animals. Your service was very good, as usual. I was disappointed to have a delivery charge levied as this had not been done before. I do not recollect having prior advice of this, although I may have missed it. Happy New Year to all at cash 4 coins! First rate service. I wish I had known about you in my travelling days! I have just sent an email to the accounts guy at the company I used to work for. Maybe with your help now he won’t have to add his ‘funny money’, to the petty cash total quite so much! "C4C provides a fast and efficient service that is highly recommended. The communication is excellent and the whole process stress free. What more can I say...A***"
Fantastic Service - Cash4Coins have done our girls proud. Girlguiding Coventry South say thank you very much! Our members collected in their friends unwanted foreign coins, I bagged it up, sent it to Cash4coins and they converted it into "real" funds which we have put towards our Campsite Cabin Appeal! If all fundraising was this easy we'd have more time to spend with the Rangers. Guides, Brownies and Rainbows.....doing what we enjoy most.....having fun! Thank you once again. Cash4Coins' service was impeccable. The easy-to-follow instructions for packaging, the no-nonsense method of collection, and the polite and efficient manner in all communications. I wouldn't hesitate to use their service again and would recommend it to anyone. C4C has been an easy hassle free experience, good communication and efficiency through out. happily use this service again for my unwanted currency in future. Excellent. What a superb service one phone call raised a pleasant well informed lass who advised me how to go about my transaction, I bagged up the coins and delivered them to the pick up point with the label supplied and a week later received a full and acceptable offer. Within half an hour of my e mailed reply the money was in my bank. This company did everything it said on the tin in a polite straight forward fashion and I commend them to everyone. C4C have again provided excellent service! From arranging pick up to collection, counting and payment they have been fast, courteous and efficient. Definitely recommend them if you have a pile of foreign coins you don’t know what to do with! Thanks again C4C! I liked the promptness of the service, from collection to payment. You were careful to notify me of what you saw as a slight delay, (although that didn’t bother me). I also liked the breakdown of the payment – enough to convince me that you had evaluated the collection carefully, but not so much that I was overwhelmed with detail. There was nothing I disliked as such. I did however, think the pictures of the notes and coins that had no exchange value were not necessary. Thank you for your excellent service which has been efficient , keeping me informed what was happening. I would certainly use your company again, it is good to know that charities can benefit through your company. Cash4Coins are just wonderful. They make everything so simple, trouble-free and efficient. Their ethos is superb service, communication and follow-up. In what can be very nerve-racking - sending off your cash to someone you don't know - they provide a completely trustworthy, great experience. Really fast, hassle-free payment and generous rates too! I highly recommend them to everybody. The service that Cash4Coins offers is a reliable, speedy one. Advice given on the phone prior to posting coins was first class. System for collection, transfer and notification of monies transferred was excellent. Thank you for making a complicated job of counting out lots of different currencies so easy! The funds raised as a result of the collection will be put to very good use at the John Watson School in Wheatley. C4C have been excellent. Efficient, informative and timely. In future, we know exactly where to go when we need to offload some foreign coins. 5 Stars. Cash 4 Coins has enhanced our fund raising activities by adding another recycling opportunity to our portfolio. In the current financial climate it is imperative that charities pursue every avenue to maximise funding opportunities. Cash 4 Coins is easy to use, provide a range of promotional materials to maximise fund raising and have a friendly and courteous team. I appreciate that all coins are accounted for whether processed for payment or otherwise ensuring clear accountability. Thank you for making our fund raising activities so much easier. Cash 4 coins are an excellent company to use fast reliable with excellent customer service and communication would recommend them to anyone, and would definitely use again and again. I was impressed with the service from Cash4Coins. They explained everything clearly and the process was easy to follow! I'd definitely recommend them! We are raising money for a local Charity and as a Travel company we had a LOT of foreign coins from all over the world just sitting in a bag in a desk drawer. I decided that we should see if we could raise any money for these coins so did a search on line and I am delighted to have found cash 4 coins. The service was excellent and they answered all of my questions very promptly and kept me updated with what was happening with my coins at every stage. Very efficient service, stress free and raised money for Charity, what more could I ask for? Will be using them again. A friend of mine found the C4C website for me when I needed a way of exchanging foreign coins for Macmillan Cancer Support. I was really impressed with the service, including the friendly staff I spoke to on the telephone. Clear instructions on website, great communication and really prompt payment. No hesitation in recommending. It has been a relief to find a reliable and friendly service where we are able to send our old and foreign coin collection. The ease of sending them off was a revelation and the efficiency of both this and the valuation was impressive. I thought it was a great service – simple to use and didn’t take long too convert my foreign coins into cash. This is the first time I’ve used cash4coins but will definitely be using it again for all my foreign coins and will be telling all my friends about the website! Any Charity's main priority putting aside the service they deliver is to Fund raise, when I discovered Cash 4 Coins I honestly thought it was to good to be true! They take the hassle out of fundraising, supplying all the material needed to get a campaign of the ground! Their customer service is friendly, support is speedy and they go out of there way to help! Cash 4 Coins really do care! Highly recommended. I was really pleased with the recent sale of coins with you . I found cash4coins really excellent to send coins to, as your contact by email was fast and helpful. The forms provided for sending coins were great in the detail given about packaging and sending - and the posting label was sent really quickly. Sending the coins was easy, as there was a very local drop off point and payment came through easily by Paypal. Excellent! I am very happy with the service you provide. It is very easy and great that over a certain weight you collect for free. The payment is quick to arrive and would use your service again. I must admit, I've been very pleased with your service (especially the speed of responses to communications) and can confirm that: As a a seasoned traveler, I had been searching for a simple route to productively exchange my build up of foreign coins. After a friend's recommendation, I am delighted I tried C4C. Not only did they pick up the coins for free but I got a very fair exchange rate and the resulting agreed monies was transferred immediately to my account - what more could you look for. A great service! Thank you very much! the service you provide is excellent! I was extremely pleased at how friendly the service was and the speed that my currency was sorted as there was a lot! I will definitely be using you again. A great service from a friendly and efficient company. Would highly recommend to anyone with a stash of coins they don't know what to do with. Payment was literally received in minutes. I will definitely use again. Five star service from a fantastic innovative company. Many thanks. Thank you your service is to be recommended and I have been very pleased with the help and advise and your very prompt replies to my queries. Would certainly use again. I travel the world for 10 months of the year with my job and can find myself working in up to 5 or 6 different countries over that time, so naturally I can end up with lots of loose coins from around the world. Cash4Coins provided an efficient, reasonable and fair service which solves this problem. I found the valuation to be fair and was received in good time. I will definitely be using them again. Thank you very much for your prompt service. I found the staff very polite, friendly and efficient. I would certainly recommend Cash 4 Coins to friends and family should they need your services. Thank you C4C, You provided a very quick and efficient service. Your customer service was excellent. You have made my 12 year old twins extremely happy by exchanging all their unwanted leftover holiday cash. I'm sure it won't take them long to spend it. After doing a little research on the internet, I found your company and made first contact with a tentative enquiry. I received a reply almost immediately which was both helpful and informative but in no way pushy. I then received the forms with further advice and an indication of what my notes may be worth. I sent off my currency and within a week I had received an email to say that the currency had been received. Ten days after this I then received the official offer which I had to either accept or decline. I accepted and then received another email saying that my cheque had been dispatched and I received it two days later! My currency was Swedish and Danish. All through the process I was honestly informed about the procedure and how long it would take. To be honest, I thought the currency (that was out of circulation), was worthless and I did not realise that there are companies like yourself that offer this service. I read some of the customer feedback on your site and decided to take the risk as I did not know of anyone that had used you before. At the back of your mind you are thinking will I ever hear from them again! I think your communication is second to none and I would recommend you to anyone. I have further currency to exchange and I will be in touch. Thank you very much for payment received for my currency. I was both surprised and pleased to find your website and be able to sell my old unwanted coins and notes so easily. Thank you so much for exchanging the coin and notes that I sent to you. The service I received was fantastic and I know that the charity I am sending the funds to will be thrilled. I would certainly use the service again. I highly recommend this company - I had a few old foreign coins and notes which I sent in, and I received a quick and courteous reply, listing the value of everything, with detailed explanations for those that could not be exchanged. I was happy with the offer Cash 4 Coins made to me for the money that had some value and payment has been swift and efficient. I trust Cash 4 Coins. Thank you so much. As a Charity I did wonder how we were going turn a huge volume of foreign coins into cash, but I have to say Cash 4 Coins made it very easy and the turnaround was very quick. Thank you very much.Your speed and quality of response is excellent.You obviously know what you are doing it is a pleasure to be responded to so quickly and efficiently.Please feel free to use these comments as a recommendation for your business if you think this would be of any use in promoting your activity.All the best for future success. Thank you for your fantastic service. As my colleagues and I run a busy fundraising office we never got round to counting the donated foreign coins. Finding a service that would do this for us was great enough, but Cash 4 Coins are simply fantastic! I could not fault you as the process was entirely smooth and quick from dropping my coins at a convenient store to receiving the money in our account shortly afterwards. Thank you and keep up the great work! Thanks for all your help. Cash4Coins have been professional throughout. The information supplied about sending my currency was very concise and easy to understand. And once the coins were received by Cash4Coins I received payment very quickly. I have been ever so pleased with the service I have received from Cash4Coins. The team from customer services were able to provide me with the answers I needed there and then and were quick to respond to the emails I sent. I would happily use the service again. Thank you Cash4Coins! Initial contact, exceptionally helpful most efficient, quick response to emails and telephone calls. Excellent information provided on boosting income return in many areas when using Foreign Currency as a fund raising event within the community. Very impressed with explanation of working 'hand in hand' with charities. Final bonus- free postage! The cash 4 coins service allowed me get rid of a large amount of foreign currency that I used to collect. The service was fantastic from start to finish, and upon confirming my wish to sell the cheque arrived the very next day! It had been in an old plastic sweet jar on my bedroom floor for about 10 year collecting dust and I tripped over it a lot too!! I would say, do not hesitate to use cash 4 coins! Thanks to all the team. I have now used C4C a few times and find their service consistently of a very high standard. Their instructions are very easy to follow and the whole process is efficient and smooth from start to finish. I have no hesitation in recommending them to anyone. It has to be said that C4C do exactly what they say. The service is quick and efficient. I will definitely use the service again. For anyone concerned about just sending their currency off into oblivion, don't be. This is a professional company and you can rest assured that you will receive a first class service and a fair price for your loose change ! Thank you for providing such a simple, efficient service. It has been a pleasure to deal with a company whose communications are clear, the timescales you initially define are adhered to and there are no hidden surprises. A breath of fresh air. Many thanks. "First class service , fast, efficient and above all communication is conducted in a very professional manner, do not hesitate to send your unwanted coins to Cash4Coins"
"Excellent service. Everything was sorted out within two weeks of sending the package. In my case, this is not long at all as the package had a variety of coins; Euros, Swedish Krona, Swiss Francs, US cents, dimes & quarters, and United Arab Emirates Dirhams". I have been using cash 4 coins for the last few years and I would recommend them to any one. They are quick courteous and have excellent customer service communication. A well oiled machine. This is the second time we have used Cash 4 Coins and are very very happy with the service we receive the admin team are extremely courteous and the service is 5 star. By using Cash 4 Coins we increase our donation intake which for any charity is what we want. Thank you again cash 4 Coins. Dear Cash for Coins, Thank-you for the very efficient and careful way in which you have dealt with our latest consignment of coins and notes. We really appreciate your help once again. Thanks - what a wonderfully efficient, honest and simple system. Helpful and friendly service. I will certainly be spreading the word and encouraging others to have a clear out raise funds this way. C4C has been a brilliant way to raise funds for our school. The school children and local business all helped our collection. I’m sure we will be setting up a collection again soon. C4C are a very helpful company and provided lots of good ideas that we could use. I have been extremely pleased with the whole concept of cash for coins from the free collection and sorting to the offer and payment in a quick time. I would certainly recommend them . Having just used coins4cash I found them to be, very polite, very fast and very good. Also liked the local pick up collection points. Would certainly recommend to others. I have to offer a massive thank you to Cash4Coins for all of their help, they offered a first class service from my first phone call. Sending me lots of information to help collect the coins from our local community and then a very good offer for what we raised. The whole process was extremely stress free. The parents and teachers are all very happy with this fundraising initiative, and we now have a box at the entrance of the school for anyone to pop their coins in after they're back from holiday! Thank you. Particularly thank you to Andrew who really was our main point of contact. I have never envisaged having to deal with coin exchange, but this occurred through a recent sad loss. Please put on record my gratitude at the great, speedy and personal service including free collection which made the process of coin exchange so very easy. One of the best trade experiences ever. Many thanks. Just wanted to email you to thank you for helping Trafalgar Schools with their fundraising efforts using your efficient service. We managed to raise £122.11 just by getting pupils and parents to bring in their unwanted old currency/pennies etc. Really impressed that you even provided personalised collection envelopes too together with arranging for a courier to collect the currency free of charge over a certain weight! We aim to make this a regular event on our PTA fundraising schedule.Thank you! I can whole-heartedly recommend cash4coins as an extremely easy way to make money! I had a bag of old currency taking up space in a drawer so decided to make some room and try to make some money. The service was excellent, I simply filled in the online form and had a call-back within a few hours to let me know the nearest place to drop my coins. Correspondence was excellent and within a week or so I had an offer or nearly £30 for something that would be otherwise practically worthless! I was really pleased with cash 4 coins.Irish notes I had for years and thought were worthless were worth over fifty pounds,It's well worth looking through your drawers for any old notes and coins...you never know ! I discovered Cash 4 Coins doing a web search. I made an enquiry and received a very friendly and prompt response by telephone. This gave me the confidence to send off my collection of foreign coins which I was able to drop off at a local collection point. I was made an offer for my coins with the option to have them returned to me if I was not happy with the offer made. I was happy with the offer made and have been very impressed with the standard of service I received throughout the process and would not hesitate to use Cash 4 Coins again! Great to have a facility to trade in coins and small bank notes and get money for what is usually left in a tin never to be used again. Really thought the process has been easy. Thumbs up!! On a separate note as an improvement the site mentions notes but a lot of the details for postage relates to coins, possible improvement? I'm extremely satisfied with cash 4 coins as I was able to make money out of unwanted coins that were sitting in my drawer. Cash for Coins was fast, quick and I received my money directly deposited into my paypal account. Thank you Cash for Coins!! Dear Sirs, I sent three batches of coins and Banknotes and was delighted with the efficient fast service and excellent exchange rates given. I would recommend your business to anyone interested. Many thanks. Many thanks, much appreciated, your service has been fast and efficient, and I particularly liked the choice of being able to make a donation rather than receive the funds back. You are very efficient and quick considering what is involved with the valuing of the assortment of coins I sent you. What you say on your website you do and your customer service is excellent. If you have coins you've accumulated in draws over the years and want to get rid of them sending them to you is a must. I recommend every one to do it thank you for your first rate service. Thank you cash 4 coins , your service has been quick and easy, I had 5 kg of coins that I sent to you free of charge, I liked the fact there was no obligation to sell if I did not like the price you gave for my coins, I also like the fact that you sent a picture of my coins so that I knew you had the right ones, you gave me a good price for my coins and will be recommending you to anyone I know who wants to get rid of all their old coins. I found this firm on Google search as I had no idea were to send all the coins I had, so I tried Cash 4 Coins, and they were very helpful, I told them of the amount of coins I had and immediately said pack all coins in a box securely, and they would have them collected at their expense, what more could you ask for, they then check through the coins and got back to me with a price, and then paid the money straight to my Bank Account, no worries, no hassle, for me they where fantastic and I would highly recommend them to everyone who are in the same position as i was. A totally pleased customer! Your service was polite and professional. I was able to pass on a surprising sum to a dear friend who had no idea what to do with the pile of "scrap" coins she had been left by her sadly-departed "hoarding husband". Cash4Coins is the most efficient and courteous company I know. The company have provided a great way to increase funding to any charity. Highly recommended by us all at W.A.D.E. in Wokingham. Thank you very much, payment received within a matter of hours! I have used C4C a couple of times in the last few months and have to say that the service is absolutely brilliant; Efficient, friendly and fast....If you have a pile of foreign coins you don't know what to do with then I highly recommend you contact C4C today! I would like to thank you very much for your fast and very efficient service. I have no complaints or negatives what so ever and look forward to doing more business with you in the near future. I would be happy to recommend you to a friend or partner business as the service you provided was excellent and so easy. We did a collection to raise money for a charity expedition to East Africa, it was amazing how much we generated from other peoples throw away change. Will definitely use you again. Very impressed with your service - answers and replies always immediate, very good prices paid, and most useful not to have to pay collection charges when over 5kg forwarded. A pleasant, personal and honest company - thank you, we will continue to use you. I have now received payment for the coins/notes I sent. Thank you for your efficient service. I can certainly recommend Cash4Coins company to anyone who wishes to convert old coins/notes into cash. It is a very simple and straight-forward procedure and any queries I had were answered quickly and professionally. The service from Cash 4 Coins was brilliant, from my initial enquiry all the way through to receiving our payment. It was a very easy and hassle free way to make some much needed funds for our PTA. We will wait a couple of years and will definitely do it again. Thank you. The service at Cash 4 Coins was very professional and easy to use. I wondered what to do with my bag of foreign coins which had been lying around the house for ages and was delighted to find this service online. I received the cash into my bank the same day that I agreed to their offer and am very pleased with this service. Cash4Coins offered a very simple solution to all those unwanted coins hanging around in drawers and jars. With very little effort on our part, we raised £150 for the school. The customer service was excellent, always replying very quickly to our questions and were very helpful in sending a banner for the school. I particularly appreciated being sent a photo of our box being collected. That was very thoughtful. We will definitely be using Cash 4 Coins again. Not often do I have anything good to say about a service, but cash4coins is simple to use and a very efficient service. Staff are very helpful and friendly over the phone – would certainly recommend them and would also use them again myself. "Very helpful help line and online chat system. Excellent collection system and good communications throughout the whole process. Then a detailed report and extremely prompt payment. Couldn't really be better!" Just want to let you know the service you provided was excellent. From the moment I contacted you to the final act of receiving payment. Everyone contacted was so brilliant and helpful. I would recommend your service. Well done! Many thanks for your efficient professional service in changing all my euro coins. They sat in a drawer for months doing nothing! After looking you up on the net each step was simple, especially your information about my nearest pick up point, free of charge. I will be recommending you to all of my friends that have left over coins. It was my first time for changing a large amount of foreign coinage and I found Cash4 Coins made the process easy, they answered any queries I had and dealt with the transaction quickly and efficiently. I would have no reservations in using them again or recommending them. Cash4Coins is a very useful way of recovering the value of old or foreign currency. Their website is easy to use and gives clear instructions what to do with no hidden costs. The service provided by Cash4Coins is excellent. Im more than happy with the cash 4 coins service. Without them my box of coins would be still sitting in the corner of my room. Now its cash in my bank account. Great! ust wanted to say a big “THANK YOU” for the cheque I have received today for £51.56. I have been delighted by the service which you have offered since making contact initially through to receiving our first payment today. Nothing has been too much trouble and you have given good advice and tips to aid our collections. I certainly have no hesitation in recommending you to my contacts at other charities to help them boost their much need funds too. We have already started our next collection which I hope will be with you very soon. Thanks again for making an easy fund raising activity so smooth. Cash for Coins provided a good service. They were flexible around collection, provided clear details on packaging everything and were able to process a large amount of coins in a quick timeframe. Because of this we were able to provide toys to needy children at Christmas time and the charities we worked with were very happy. We will certainly be using you again for future collections! Although my order didn't go smoothly (my package went missing), as soon as I contacted Cash4coins to alert them to this they promptly looked into it, offered compensation and paid within a few days... Under the circumstances this was a very professional and customer focused response and have no hesitation in planning to use the service again"
If only every business in the UK was like yours! Clearly you are a business that understands the fundamentals of good business practice, ie looking after your customer, it's a 'no brainer'! From the minute I contacted you, I was informed every step of the way, in great detail, as to what would happen with my coins. My pickup came on the day we had agreed, and all timings stated were adhered to! Super efficient! Your service is excellent! I would definitely recommend you to my friends and colleagues! Keep up the great work! You deserve your success! Many thanks. Had a very smooth service with great communications with the account manager and the team. We managed to raise £401.00 for our school at South Benfleet Primary School. We did a league table between the classes and he children enjoyed it by asking family, friends, neighbours, parents work colleagues and even the local shops! Cash4coins were great to give the school fantastic certificates for all the children too! Thank you. Just received the cheque from you for our charity - thank you. You have been most efficient and courteous and I would highly recommend Cash4Coins service. I am happy to have my name given, if you ever need a reference. Thank you for your cheque received yesterday.... I would like to add that when a friend of mine mentioned as part of her late uncles estate she had found a cache of coins from when he was attached to the Merchant Navy she was absolutely delighted when I presented her with a cheque for over £51 thanks to the service provided by Cash 4 Coins. Cash 4 Coins is a unique service, and the fact that they responded to any queries I had very quickly was brilliant. The level of care they gave me was second to none. Payment was also made quickly into my bank account. This type of quick, efficient customer care should be adopted by every company! Very happy overall, keep up the good work!